Athletic - Track & Field is a sport which includes different type of activities like running, throwing and jumping. Track meets take place on an athletic track that may be located indoors or outdoors. Track and field events can be performed as individual sports or as a team sport. 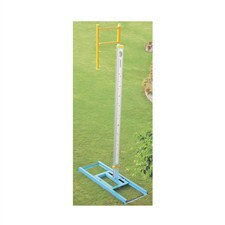 To play these sports, athletes or players may require different kind of quality sports equipment like Athletic Discus, Shot Put, Athletic Hammer, Crossbar, Hurdle, Landing Area Pit, Pole Vault Pit, Starting Block, Javelin, High Jump Stand, Relay Baton, Measuring Tapes, Carts & Trolleys, Discus / Hammer Cage, Field Markers, Track & Field Accessories and many more. Why VINEX Athletic Track & Field Equipment? VINEX Enterprise Pvt. Ltd. is the foremost name in manufacturing and supplying sports goods and fitness equipment. Vinex awarded as No. 1 for Highest Exports of Athletics Equipment from India by SGEPC (Ministry of Commerce India). We have 61 years of manufacturing experience in Sports / Fitness Equipment. 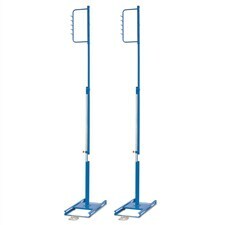 We are manufacturing and supplying a wide range of Track & Field Equipment and Accessories suitable for schools, clubs, training and the big events. VINEX Implements and Equipment have been successfully used in many national and international championships like Rio Olympics 2016, Commonwealth Games 2010, Asian Games, IAAF World Junior Championship, CISM Military World Games and more. 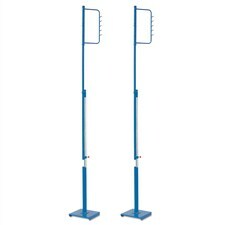 We have more than 100+ IAAF Certified Athletics Equipment including Discus, Shot Put, Hammer, Hurdle, Starting Block, Relay Baton, Javelins, High Jump Stand, Water Barriers, Steeplechase Barriers, Crossbar and etc. VINEXSHOP is one of the oldest and reliable online shopping destination to buy Vinex Athletic Track & Field Equipment & Accessories at highly discounted price in India. VINEXSHOP is an exclusive online athletic equipment shop established by Vinex Enterprises Pvt. 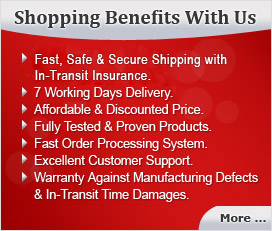 Ltd. to provide the customers with the best quality sports equipment & services.